Details : Corner unit, assume balance, inclusive of two parking slots. 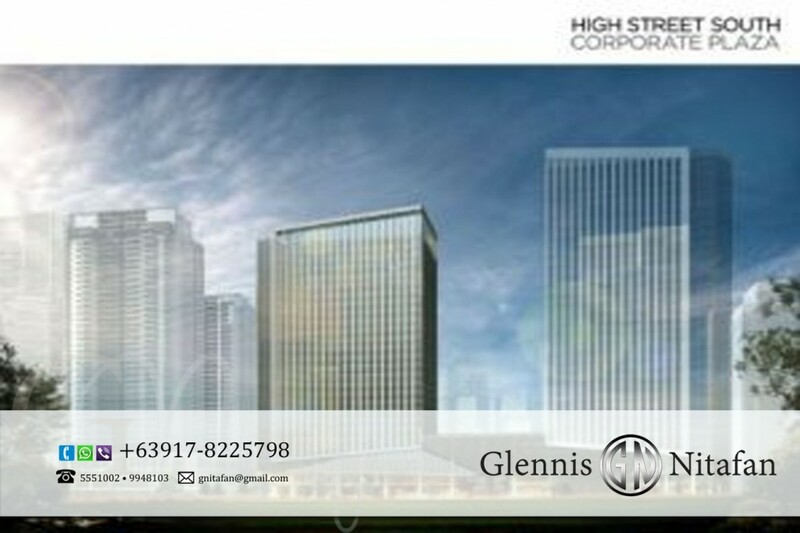 The building location is primed at 26th corner 9th at Bonifacio Global City, Taguig – The most modern premier financial district of the Philippines. It is also located within High Street South – the cultural district of BGC. The building footprint is around 7,000 SQM, where the the podium of the building shall rise. On the Podium, stands the Twin Boxy and Glassy office buildings, one being taller than the other. The first two floors shall be commercial units for lease by Ayala Malls, then the four consecutive floors shall house the parking allotments. The office units will start at the Podium with 22-levels of 95 to 389 SQM office space/s in a floor. The high-speed elevators are zoned, much like how you experience elevator zoning at Ayala Tower One with low-zone and high-zone. The tenant mix is preferred to be low-density corporate offices. Property management will be under the expertise of Ayala Property Management Corp.